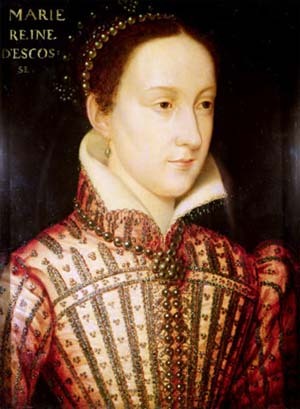 Mary, Queen of Scots was let down by a faulty cipher and her misplaced trust in the reputed cleverness of her co-conspirators. Mention Elizabethan England to most people, and they usually think of William Shakespeare, the Globe Theatre and Sir Francis Drake. Codes, spies and cryptanalysts are probably the last things to come to mind. But besides poets, playwrights, and sea dogs, the reign of Elizabeth I also produced Britain’s first master spy, as well as its first state-sanctioned spy school. Sir Francis Walsingham was secretary of state to Elizabeth, as well as one of her most ruthless ministers. Usually described as Machiavellian, he was absolutely singleminded when it came to the security of the Queen and her realm. He recruited over 50 agents on the European continent (mostly in Flanders and France, but some as far away as Constantinople, Algiers, and Tripoli), along with several working spies in England, and established a “cipher school” in London. In 1586, Walsingham discovered that a plot against Elizabeth had been formed by supporters of Mary Stuart, Queen of Scots, and set out to use his own spies to destroy it. As his cryptanalyst, or “cypher secretary,” Walsingham employed Thomas Phelippes, who would become England’s first expert code breaker. The newly developed post of cryptanalyst was a combination of mathematician, linguist, and puzzle fiend, in about equal proportions. This description certainly fit Phelippes. He could speak French, Italian, Latin, and German, and he also had a working grasp of Spanish, although he was not fluent in it. More important, Phelippes was able to break codes in each of these languages. He seemed genuinely to enjoy tinkering with codes, and ciphers were a sort of game to him. The only existing physical description of Phelippes is from Mary, Queen of Scots, who wrote rather unflatteringly that he was “of low stature, slender in every way, dark yellow haired on the head, and clear yellow bearded, eated in the face with small pocks, of short sight, thirty years of age in appearance.” By 1586, Mary was understandably prejudiced against all things English and against Phelippes in particular. She had been in England since 1568, when she was forced to leave Scotland after her own troops had been routed by the army of her half-brother. 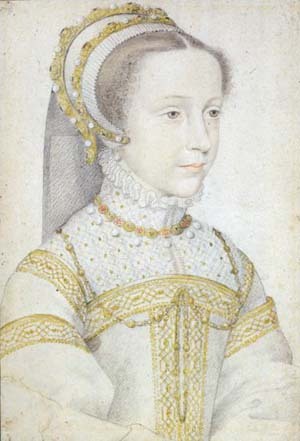 Although she retained the title Queen of Scots, Mary could not go back to Scotland. Her cousin Elizabeth kept her under close watch, although not under actual arrest, and had her moved between various castles and stately homes for the next 18 years. Chief Instigator or Rightful Heir? As far as Walsingham was concerned, Mary was the chief instigator of the plot to depose Elizabeth and put the crown on her own head. On at least two prior occasions, Catholic factions in England had plotted to replace Elizabeth with Mary and return England to the Roman Church. A good many Catholics regarded Mary as the rightful queen of England and Elizabeth as merely a Protestant usurper. Walsingham always suspected that Mary was at the root of these conspiracies, but he had no concrete proof on which to base his charges. During the summer of 1586, however, his direst suspicions were confirmed. In January 1586, Mary was confined to Chartley Hall in Staffordshire. Previously, she had lived under the guardianship of George Talbot, Earl of Shrewsbury, who had allowed her a large degree of personal freedom. Walsingham, already suspicious of the deposed sovereign, had Mary placed under the control of Sir Amyas Paulet, a man of strict Puritan principles like Walsingham himself. Paulet was instructed to monitor closely Mary’s personal retinue. No strangers were to be admitted for any reason, and special attention was paid to the comings and goings of servants such as laundresses and coachmen, whom Walsingham suspected of carrying secret messages to and from the Scottish monarch. Walsingham’s tightened security soon paid off. A 24-year-old former page of Mary’s, Anthony Babington, had organized a new plot to release Mary, assassinate Elizabeth, and make Mary queen. Babington and his fellow conspirators realized that their plan had no hope of succeeding without the consent and participation of Mary herself. The problem for Babington was how to communicate with Mary inside Chartley Hall, where her every move was closely monitored and observed by Paulet and his staff. This article is from the August 2005 issue of Military Heritage Magazine. If you would like to read the rest of this and other articles, visit our order page to see which digital editions we have on offer. Tags Algiers, Anthony Babington, Constantinople, cryptoanalysis, England, Europe, France, Gilbert Gifford, Mary Queen of Scots, Thomas Phelippes.